Listing previous sales-related work experience is an important part of writing a salesperson resume. There are several steps that you must complete to compile and format a salesperson resume. The first step is to list your current contact information and then to provide a brief list of your sales and interpersonal relationship skills. List your previous work history, focusing on the sales positions that you have held. In the next section of a salesperson resume, provide a list of the schools from which you have earned a post-secondary degree. Afterward, include a brief synopsis of your occupational goals and objectives and a list of any awards, certificates, or honors you have received as a salesperson. 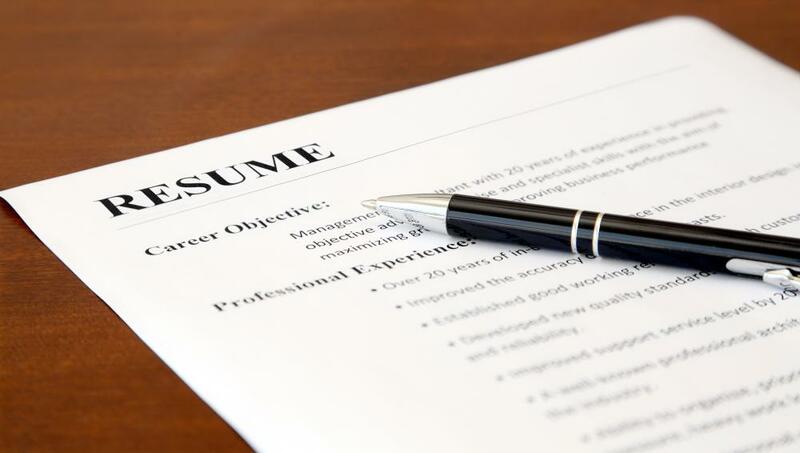 A salesperson resume should be one page long, and the first portion of it should list your full name, your current mailing address, and your phone number. Be sure to only list one phone number — the one at which you can most likely be reached during normal business hours. If you have a professional e-mail address, list this following your phone number. It is best to use an address that feature only your name, augmented by punctuation or numbers. Following your contact information, include a brief, bulleted section that lists the sales and interpersonal relationship skills in which you are most proficient. Each bullet point should be followed by one to three words that summarize the skill. Avoid using too many words, and only include skills that highlight your abilities as a salesperson. The next section of a salesperson resume is a list of your previous work experience. In most cases, it is best to only list the sales jobs that you have previously held. If, however, you have not held many sales jobs, include any job that you have had. In reverse chronological order, list the company's name, the position you held, the dates of your employment, and a brief, one-paragraph synopsis of your responsibilities and achievements in the position. After your work history, include your education history, also in reverse chronological order. List the school's name, the degree that you earned, the subject in which you earned it, and the year that the degree was conferred. Do this for each institution from which you have earned a degree. Next, you should list your career goals, including the positions you wish to work toward how your skills will help you to achieve those goals. Following this, include a brief list of any awards or honors you have received. Concentrate on sales awards or honors first, and list unrelated honors afterward. How Do I Become an Associate Sales Representative? How Do I Become a Solution Sales Manager? How Do I Become a Chief Sales Officer?